'As heart-warming as it is heartbreaking, this novel is unputdownable' Sunday Express. 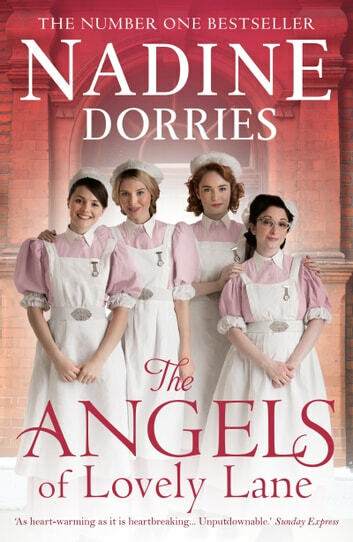 It is 1953 and five very different girls are arriving at the nurses' home in Lovely Lane, Liverpool, to start their training at St Angelus Hospital. Dana has escaped from her family farm on the west coast of Ireland. Victoria is running away from a debt-ridden aristocratic background. Beth is an army brat and throws her lot in with bitchy Celia Forsyth. And Pammy has come from quite the wrong side of the tracks in Liverpool. The world in which they now find themselves is complicated and hierarchical, with rules that must be obeyed. Everyone has their place at St Angelus and woe betide anyone who strays from it. But when an unknown girl is admitted, after a botched late abortion in a backstreet kitchen, a tragedy begins to unfold which will rock the world of St Angelus to its foundations. Can't wait for the next one? THE CHILDREN OF LOVELY LANE is out now! The characters are so easy to imagine and the story is a wonderful insight into the era !! A very enjoyable read ....and now onto the next one in the series !! Really enjoyable, looking forward to reading the next book in the series is. Great book could hardly put it down ~ now on to the 2nd book in this series.